At the entrance to Aventura Mall’s expansion wing, a nearly 93-foot-tall spiral structure by Belgian artist Carsten Höller is generating buzz among visitors and the local community. 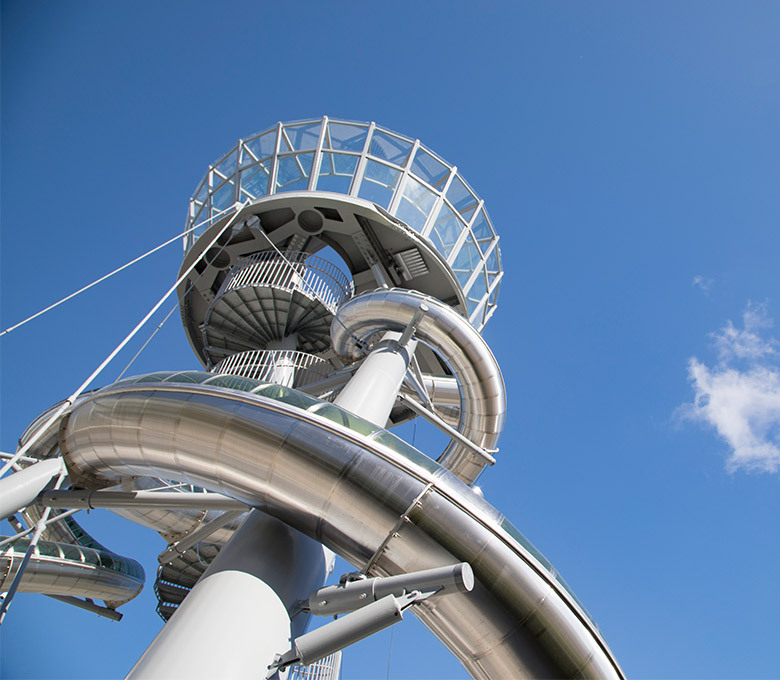 The Aventura Slide Tower leads a double life: towering landmark and exhilarating slide. “The slide can be experienced both by sliding down it or by viewing it from the outside with people coming down in it—which are different, but both powerful, experiences,” said Höller, who is world-renowned for large-scale artworks that transform common expectations of social spaces. This is Höller’s first slide in the United States. The installation is part of the ever-evolving Arts Aventura Mall program, which includes more than a dozen museum-quality works positioned throughout the center. Experience the Aventura Slide Tower at the lower level entrance to the new wing.